Q: Is gasification just another form of incineration? A: No. There is no oxygen present in the processing chamber during the gasification process, and thus there is no direct burning of the solid material. Instead the organic material is simply transformed into a syngas. The syngas is then directed to a thermal chamber where it undergoes further thermal treatment. The syngas then undergoes a thorough cleaning to a fuel quality level (like Natural gas), and only then it is used to drive the Power Island. Moreover, the RODECS gasification cycle is a low temperature process. 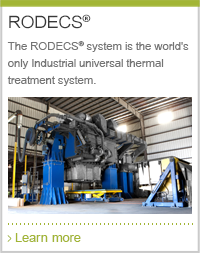 Unlike the plasma arc or torch gasification systems which operate between 6000° C – 10,000° C, the RODECS system operates between 450° C - 600° C. Given the high temperatures used for plasma gasification the United States EPA has included the plasma arc in the definition of an incinerator. (see 40 C.F.R. 2601.10 (“Plasma Arc Incinerator”). .
Q: Will the process produce toxic air emissions? A: No. An energy from waste facility must comply with strict environmental standards. All energy from waste facilities must meet or exceed strict standards that drastically limit emissions. 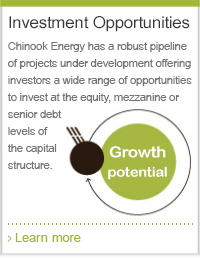 Chinook has a proven operational history in its world-wide plants. The RODECS technology not only meets these emission standards, the measured data show the emissions are significantly lower than those required by environmental laws, such as the European Industrial Emissions directive. Given the benefits of low temperature gasification, even environmental groups are calling for support of such projects. “Gasification is great technology for green jobs and as well as a green process for disposing of solid waste.” Rita Dalessio, Sierra Club, Ventana Chapter. www.montereycountyweekly.com (May 29, 2012). Q: Will energy from waste plants cause people to stop recycling? A: No. 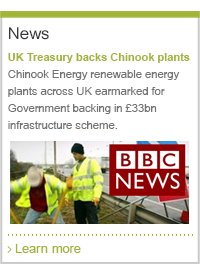 A Chinook energy from waste plant will complement any recycling programs as the RODECS technology is the only energy from waste option that recovers valuables from the waste. For example, if an aluminum can is thrown away and not recovered by a third-party recycling facility then the can will be recovered when it is processed in the RODECS with the waste. The end result is a clean aluminum can that is sold for recycling. Q: Do energy from waste plants have to be extremely large to be economically viable? A: No. This is usually the case for energy from waste plants that employ typical mass combustion processing techniques (incinerators), given the economies of scale that are needed to compensate for its low energy conversion efficiency. However, Chinook's highly efficient patented technology permits processing of smaller quantities of waste (as little as 100 metric tonnes per day) in an economically viable way. The ability to blend various waste feed stock leads to even higher revenue, and finally the small footprint of the system reduces the overall construction costs, which enhances the economics of small projects. Q: Will the system produce an ash that contains dioxins, toxins and other materials? A: No. A byproduct called aggregate will be produced. Aggregate is inert, non-toxic and completely safe. In fact, the aggregate typically sold as it is used by many industries as a building material or for road construction.